Please watch this amazing video of pianist Robert Levin playing Mozart's piano sonatas on Mozart's ACTUAL PIANO. Last year, pianist and musicologist Robert Levin was announced as the first Hogwood Fellow of the Academy of Ancient Music. So, we filmed him playing on Mozart's very own instrument. This is the piano. Isn't it beautiful? The fortepiano, from around 1782, was used by Mozart for both composition and performance from 1785 until his death in 1791. The piano was originally made by Anton Walter, one of the most famous Viennese piano makers of Mozart's time. It is two octaves shorter than a modern piano, and is much lighter and smaller than modern pianos, weighing only 85kg. It's also much smaller than a modern piano, at just 2.23m long. 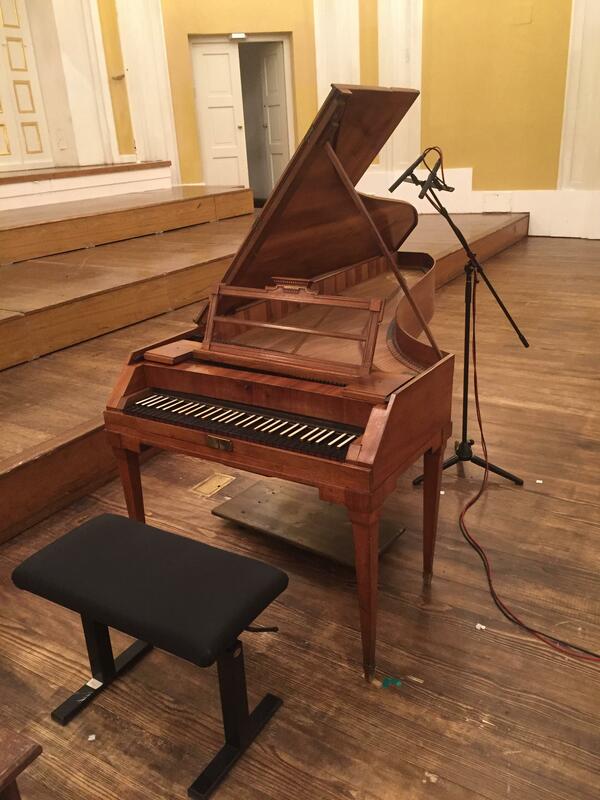 It can currently be found in Salzburg, where Robert Levin is using it to record Mozart's piano sonatas. “The voyage and discovery of playing on period instruments is to move in a world – physical, emotional and aesthetic – that is inhabited by the geniuses that wrote this music. It brings us very, very close to them,” said Levin. “So sitting down at Mozart’s piano, sitting down at an organ which Bach played himself, you understand things about the weight of the keys going down and the repetition and the balance in sound.